TVS To Showcase Suzuki Burgman Rivalling Maxi-Scooter On 23rd August ? Home Bikes News TVS To Showcase Suzuki Burgman Rivalling Maxi-Scooter On 23rd August? TVS To Showcase Suzuki Burgman Rivalling Maxi-Scooter On 23rd August? With just five days away from TVS launching/unveiling a new product, speculations have been running wild over what it could really be. Some reports suggest that it’s the 110 cc Radeon commuter based on the Radeon 125 cc concept showcased at the 2012 Auto Expo and will be powered by the 109.7 cc single-cylinder engine from Victor producing 9.5 bhp power and 9.4 Nm of peak torque – mated to a four-speed gearbox. 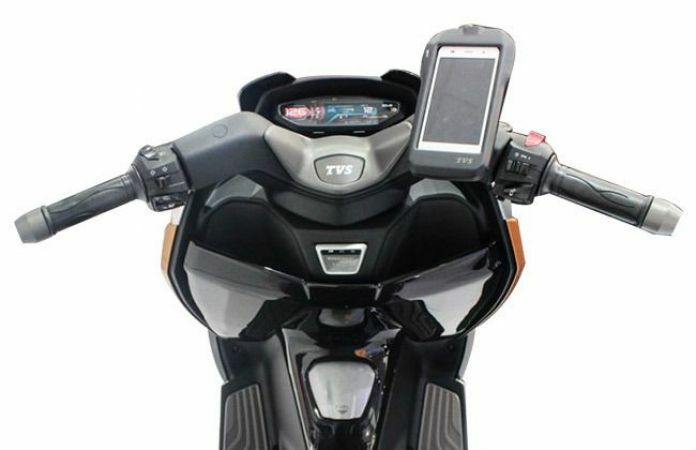 It will have digital instrument cluster and connectivity options as the Ntorq 125. Brushing aside the debut of a hybrid electric scooter derived from the iQube concept, TVS will likely be showcasing another premium scooter to strengthen its portfolio in that particular space. Within three months of its market launch, the TVS Ntorq broke into the top ten best-selling scooters list with 14,695 units in May 2018. The 125 cc scooter continues its good run in the market due to the catchy price tag, appreciable engine and a number of connectivity options. The Hosur-based manufacturer looks to build on its success by adding another premium scooter above the Ntorq, which could potentially rival the recently launched Suzuki Burgman Street 125. The Japanese maxi-scooter priced at Rs. 68,000 (ex-showroom) takes on Aprilia SR125 and Piaggio Vespa 125 and features a fully digital LCD instrument panel, LED position lamp, all LED taillight, LED headlamp, sporty chrome accents, tall windshield, comfortable and well-cushioned seat, multi-function key slot, 21.5-litre under seat storage capacity, 12V charging socket, optional USB charger, etc. TVS’ likely rival could use the same 124.79 cc single-cylinder air-cooled SOHC powertrain from Ntorq making 9.4 PS and 10.5 Nm with Street and Sport modes. It is more likely to come equipped with TVS SmartXonnect bluetooth-enabled technology, which can be paired to an app availing in-built lap timer and top speed recorder among other features. 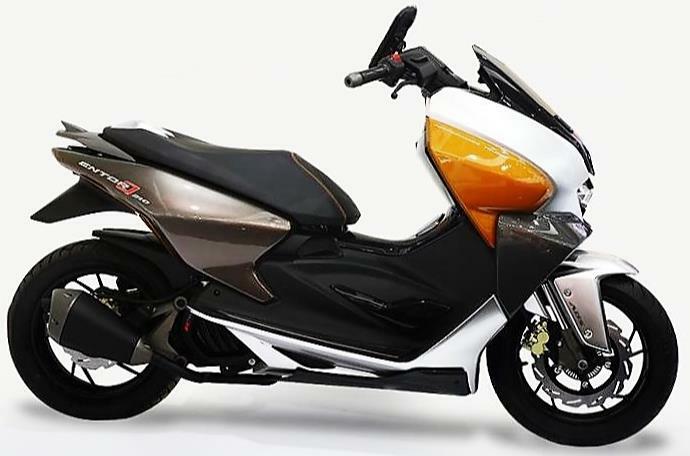 It is expected to undercut the Burgman Street 125 in pricing and offer a myriad of features including a large under storage capacity, charging port, digital instrument cluster, etc. It could take design inspiration from the Entorq 210 concept, but thus far we do not know the concrete answers yet.